Join us at the March for Life in Ottawa May 9, 2019 on Parliament Hill. Thousands of Canadians will gather on the hill to draw attention to the injustice of abortion, the gravest human rights issue of our day. Since 1969, over 4 million children have been aborted in Canada. Each life is precious. Each mother and child needs our protection and support. St. Catharines Right to Life is sending a bus. We are leaving Thurs. May 9 at 5:00 a.m. from St. Catharines and returning by 8:00 pm the following day. For students and young adults as well as chaperones, the cost is $95 which includes the bus, accommodation, youth banquet and conference. Here's the registration form. Send in as soon as you can. Adults are welcome to join us. Contact our office at 905-684-7505 or email info@chooselife.ca to learn more and/or sign up. For those of you who plan to drive up on your own, visit marchforlife.ca for more general information about the March for Life and surrounding events. Tickets: $75 each or $125 for 2. Students: $40. Niagara students can call/text St. Catharines Right to Life at 905-684-7505 for reduced rate of $15. The first 150 to register will receive a free grab bag! 40 Days for Life is an international campaign of prayer, fasting and peaceful vigils outside facilities where abortions take place. A local 40 Days for Life, sponsored by Welland-Port Colborne Pro-Life, is taking place in Niagara Falls outside the hospital. Many volunteers are needed. For more information, contact Annette at loeffenlife@gmail.com or 905-397-8093. Sign up for one or more time slots at 40 Days for Life by visiting the Welland-Port Colborne Pro-Life website here. 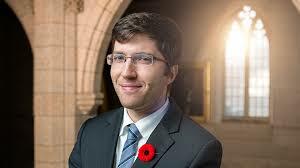 Reception 5:00 p.m., Dinner 6:00 p.m.
We are delighted to welcome MP Garnett Genuis as our guest speaker this year. As Member of Parliament for Sherwood Park-Fort Saskatchewan in Alberta since 2015, he has been a consistent voice for life on issues including the abortion attestation rule, assisted suicide, and doctors’ conscience rights. Mr. Genuis was voted 2017 Parliamentarian of the Year. He is the father of three children. Join us at the Dying Healed Course, a wonderful opportunity of learning and fellowship. To register, please contact St. Catharines Right to Life at info@chooselife.ca or (905) 684-7505 or Wayne Shepard at wayne_shepard@hotmail.com or (905) 937-1295. Join us at the beginning of the Christmas season for a special evening of Christmas music celebrating the birth of Jesus. A variety of musical guests will perform, we’ll sing Christmas carols, and afterward, enjoy a dessert social. A freewill offering will be taken for St. Catharines Right to Life. Everyone welcome! Join us at the St. Catharines Right to Life Speakers Workshop, Saturday October 20, 2018 at St. Alfred's Hall. Hear Felicia’s powerful story of choosing life for her child in incredibly difficult circumstances. Learn how to better make the case for life when the topics of abortion or assisted suicide arise, how we can make a difference in our communities, and how to offer compassionate support to those facing unplanned pregnancies. Poster. Be encouraged! Enjoy fellowship with people who share your concern for the most vulnerable among us. Please join us for this fantastic event and bring your friends. Everyone welcome! Call or text 905-684-7505 or email info@chooselife.ca for information and to reserve your spot. Our sincere appreciation to St. Alfred's for providing the venue and to the Knights of Columbus 1394 for sponsoring the food. Join with thousands, internationally, rain or shine, standing in peaceful witness to the sanctity of human life. Invest One Hour to Save a Lifetime! You are invited to watch the new euthanasia documentary Fatal Flaws on Thursday, September 27, 2018 @ 7PM at Harbour Fellowship Church on the South Service Road in St. Catharines. Learn more about the impact legalized euthanasia has had in other jurisdictions around the world, and right here in Canada. Refreshments will be served. Download poster here. We are delighted to welcome one of North America's most popular pro-life speakers Josh Brahm. Josh is the founder of the Equal Rights Institute in the United States. He has debated leaders from Planned Parenthood and the National Abortion Rights League (NARAL). He has been speaking publicly for 13 years, has keynoted more than 100 events and services and has made dozens of media appearances, including interviews by The Huffington Post, Focus on the Family and Catholic Answers Live. Josh is formerly the host of a globally-heard podcast turned radio/TV show, Life Report and is a blogger for LifeNews.Com and the Equal Rights Institute. Josh knows how to make the most persuasive arguments in defense of life, and trains others how to do so with a loving and compassionate approach. All grade 11 or 12 students in Canada are invited to enter The Father Ted Colleton Scholarship essay contest. Essays must be 1200 words and are to be submitted by December 1, 2017. Three prizes are to be awarded: $1500, $800, and $500. Join us at the March for Life in Ottawa May 11, 2017 on Parliament Hill. Thousands of Canadians will gather on the hill to draw attention to the injustice of abortion, the gravest human rights issue of our day. Since 1969, over 4 million children have been aborted in Canada. Each life is precious. Each mother and child needs our protection and support. St. Catharines Right to Life is sending a busload of students and chaperones to participate in the March for Life and surrounding events including the Youth Banquet and Conference. Contact our office at 905-684-7505 or email info@chooselife.ca if interested in joining us. Here's the registration form. St. Catharines Right to Life has several spots on the bus for adults who need transportation only to the March for Life. The fee for return trip is $65. Contact our office asap to book your seat. For information on accommodation and March for Life events in Ottawa, visit marchforlife.ca or contact our office. Saturday, March 25 at 10:00 a.m.
Canada Family Action Niagara invites you to a presentation on "Palliative Care vs Assisted Suicide". Now that assisted suicide is legal in Canada, it's more important than ever to be informed. Learn how to arrange and prepare for yourself and your loved ones. We are delighted to welcome highly acclaimed speaker Stephanie Gray who has given over 800 pro-life presentations across North America as well as in the United Kingdom, Ireland, Austria, Latvia, Guatemala, and Costa Rica. Stephanie has debated abortion doctors and abortion advocates from the National Coalition of Abortion Providers, NARAL Pro-Choice America, and International Planned Parenthood Federation. Stephanie’s audiences are vast, including medical students, churches of various denominations, seminaries, high schools, and pro-life organizations. Stephanie's ministry Love Unleashes Life is the title of her new book, subtitled Abortion & the Art of Communicating Truth. The book describes how to winsomely and compassionately discuss the topic of abortion. Stephanie is also Faculty at Blackstone Legal Fellowship where she trains law students from around the world about conversing persuasively on abortion. St. Catharines Right to Life is pleased to host the Stop Censorship Tour Thursday, January 12. Please join us to learn more about the secrecy and censorship surrounding abortion and what's being done about it. Our guest speakers will explain why abortion data is so important as we work toward defending the rights of unborn children, and why we can not get accurate abortion statistics. The Stop Censorship Tour will update us on the court case launched by ARPA and pro-life blogger Pat Maloney that is challenging the Ontario censorship law. Coffee and refreshments will be served. Everyone is welcome and encouraged to attend! Niagara College Students For Life (NOTL campus) is hosting the HUSH film on Wednesday, November 16th @ 4:00pm in room W214! Optional Banquet: Following the convocation, a catered banquet will be held in Resurrection's social hall. Pastor Salemink will speak on the topic of "Implementing a Pro-Life Theology in Our Congregations". The cost is $15. Tickets must be ordered in advance. Wycliffe College at the University of Toronto, 5 Hoskin Ave.
Dr. Ewan Goligher is a physician, physiologist, and intensivist at the Toronto Western hospital's Drembil Research Institute. He obtained his MD from the University of British Columbia and trained in internal medicine and critical care medicine at the University of Toronto. His research program focuses broadly on the clinical impact of physiological interactions between the respiratory muscles, the acutely injured lung, and the mechanical ventilator. Welland/Port Colborne Pro-Life is showing the powerful film The Euthanasia Deception in Welland on Thursday, October 27. This documentary exposes the lies and deceptions behind legalized euthanasia. Producer of the film, Alex Schadenberg, who is the Executive Director of the Euthanasia Prevention Coalition, will be at the Welland screening to answer questions. Everyone is invited. Refreshments will be served. A free will offering will be taken for EPC. For more info, email Annette. Mark your calendars for the next Pro-Life Speakers Workshop Saturday October 22, 2016 at St. Alfred's Parish Hall. Learn how to better make the case for life when the topics of abortion or assisted suicide arise, and how to offer compassionate support to those facing unplanned pregnancies. Call 905-684-7505 or email info@chooselife.ca for information and to reserve your spot. Our sincere appreciation to St. Alfred's for providing the venue and to the Knights of Columbus 1394 for sponsoring the refreshments and lunch. Nikki Bakker is the Crisis Pregnancy Options Coordinator at Elisha House Pregnancy and Family Support Centre in Welland, ON. At Elisha House, Nikki works to oversee the Pregnancy Ministry and has the opportunity to walk alongside women who are contemplating abortion. With over 5 years in pro-life work, Nikki has led various training events and workshops focused on healthy relationships, sexual integrity, walking alongside those in crisis pregnancies and more. Pieter Harsevoort is a chess enthusiast, a teacher, and a film lover who just happens to be confined to a wheelchair. He spoke before the House of Commons Committee for Justice and Human Rights in Ottawa and has met with MPs to discuss Bill C-14 and what it means for the disabled. He has a B.A. and B.Ed. from Redeemer University College, and works as a Spec. Ed. teacher at Timothy Christian School in Hamilton, Ontario. Everyone is invited to this inspiring evening of music, prayer and personal testimony with Gretchen Harris and Donna Lee, who are accomplished musicians from California, along with Fr. Bill Quinlivan from the Diocese of Buffalo. This promises to be an intimate evening of hope and healing as these talented women share their personal testimonies about adoption, abortion and transformation through the Mercy of God. A free will offering will be taken. For more information, call the Cathedral at 905-684-3964.